Partnerships enable us to serve a rapidly growing number of the world’s best brands in the datafication of HR. Visier, the innovation leader in workforce analytics and planning, announced today it has been recognized as one of 2014’s hottest emerging technology vendors by CRN, the top news source for solution providers and the IT channel. The annual Emerging Vendors list identifies up-and-coming technology vendors that have introduced innovative new products, creating opportunities for channel partners in North America to create high-margin, cutting-edge solutions for their customers. With Visier’s cloud solutions, organizations can leverage data from unlimited sources to predict how workforce behaviors (such as future employee recruitment, promotion, and turnover patterns) will change, and use this insight to create, analyze, and collaborate on plans to optimize the workforce. 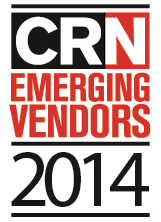 Companies included in CRN’s 2014 Emerging Vendors list were founded in 2008 or later and are actively working with channel partners in North America. The list, along with information about each vendor, will be published in CRN’s August 2014 issue and will also be available online at http://www.crn.com. Headquartered in Vancouver, B.C. and San Jose, CA., Visier delivers workforce analytics and planning solutions in the cloud, designed to empower teams with the insights they need to better see, understand, and make decisions about their business. Visier achieves this by delivering intuitive analytics and planning solutions, built to answer key business questions, predict future events, and optimize operational efficiency. Founded by business intelligence experts—including former Business Objects chief executive officer, John Schwarz—the company’s leadership team has a proven track record of technical, operational, and strategic management success with companies such as IBM, SAP, and Oracle. With more than two million customer employee records in the cloud and counting, Visier is experiencing significant growth.